Black 2006 Toyota Avalon FWD 5-Speed Automatic with Overdrive 3.5L V6 SMPI DOHC 5-Speed Automatic with Overdrive.Every Used Car purchased at Tarbox Hyundai includes a complimentary 1yr/15,000 mile Tarbox Auto Care maintenance plan along with coupons for other valuable offers! Recent Arrival! Odometer is 44208 miles below market average! 22/31 City/Highway MPGAwards:* 2006 KBB.com 10 Best Used Cars Under $8,000Call or Email Tarbox Today To Check For AVAILABILITY!!! Black 2010 Hyundai Elantra GLS FWD 4-Speed Automatic 2.0L 4-Cylinder DOHC CVVT Elantra GLS, 4-Speed Automatic.Every Used Car purchased at Tarbox Hyundai includes a complimentary 1yr/15,000 mile Tarbox Auto Care maintenance plan along with coupons for other valuable offers! Recent Arrival! 26/34 City/Highway MPGAwards:* 2010 KBB.com Best 10 Family VehiclesCall or Email Tarbox Today To Check For AVAILABILITY!!! 2013 Nissan Sentra FE+ S FWD CVT with Xtronic 1.8L 4-Cylinder DOHC 16V CVT with Xtronic.Every Used Car purchased at Tarbox Toyota includes a complimentary 1yr/15,000 mile Toyota Auto Care maintenance plan along with coupons for other valuable offers! Recent Arrival! 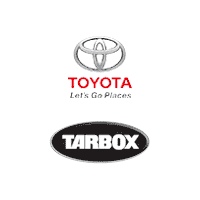 30/40 City/Highway MPGCall or Email Tarbox Today To Check For AVAILABILITY!! !